Well I have decided to diversify my time and energy here and mix things up a little. 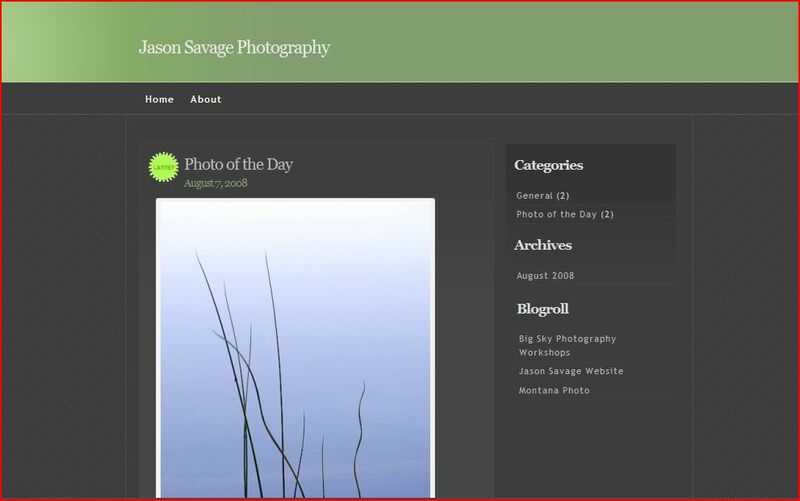 I have started a new blog appropriately titled Jason Savage Photography… I know very original. But after running Montana Photo since earlier this year, it’s become more apparent where to direct my content. Montana Photo will be here to stay and I will continue posting photography and my trips related to Montana throughout the site. There will be less posts regarding how to’s, photography equipment and so on. I thought I would keep it strictly about Montana for all of you who enjoy our great state and a little less about the technical side of things. My new site will be a “hodgepodge” of content related to photography, writings, or whatever strikes me that day. I will be posting a “Photo of the Day” on the new site that will feature images from all over, not just Montana.